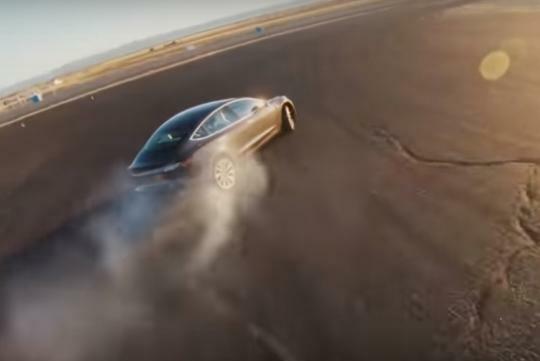 Tesla will be updating its all-wheel drive Model 3 Performance with a new Track Mode via over-the-air updates as the company tries to make it a sportier drive. Replacing the standard stability control software, the new update features a new, in-house developed ‘Vehicle Dynamics Controller’ that acts both as a stability control system and a performance handling upgrade. When using the mode, Tesla will allow the car to vary the torque from the front and rear motors to assist the car in turn-in. Drift wannabes will be happy to hear that that their latest software can tell when the driver wants the car to go more or less sideways and direct torque to the rear or front wheels accordingly. So will the new track mode overwork the Model 3's battery and motors? Tesla says that new mode proactively cools the battery and motors before track driving and in between drive sessions, with the software allowing operation beyond the normal thermal limits, enabled by an “overclocked” AC compressor. The hot electric motors also use the battery pack as a huge heatsink to cool down. Apparently the Model 3 Dual Motor Performance has lapped America's Willow Springs in 1:21.49, faster than what a Ferrari 458 Italia did on the same track by nearly a second. However, the Model 3 was fitted with a set of Pilot Sport Cup 2 tires and Brembo brake pads.